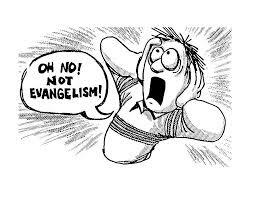 Evangelism…that was almost a dirty word in my dictionary! The thought of talking to someone about accepting Christ made me so uncomfortable I would steer away from it as much as possible OR guide it towards someone with more experience. I just recently told a fellow prayer team leader,” It’s crazy! I’ve grown up in church and still can’t do this! You can can ask me to pray about anything, in front of anyone, but get me into the sinners prayer or explaining accepting Christ and I have a mini freak out session!” WHY IS THIS?! You see I SHOULD know how to do this and want to do this! This is what spreading the gospel is all about right? I love Christ! I know He is the answer and I want everyone to have what I have with Him! Whys is it so hard!?! Well, Thank you ELISE! Your Day 21 post just helped me over come a life long fear! Accepting Christ is not a formal prayer that simply gets you into heaven. I mean it usually comes with a prayer and the benefits ARE you go there, but that’s not all it’s about! 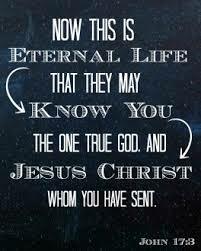 It’s about starting a relationship with Christ and beginning to KNOW HIM! Just like any relationship it takes time(more for you then Him). Relationships take nurturing, take effort, and take a desire to have. Saying yes to Christ is saying yes to a relationship with Him and then taking the time adn effort in getting to know Him. How do you do that? AHHHH there’s the question. How do you get to know anyone? You talk to them(prayer), but not just talking at them but WITH THEM! So in our prayer time we need to learn to listen…to hear Him respond back. He will. You spend time with people you want a relationship with right?(worship). You learn more about them…like Facebook stalking them! lol Or may maybe with Christ you learn His ways through teaching from the Word. The Bible shows Christ’s heart for us. It shows us How much He loved us. It explains how to love Him back. Saying you love Christ is great but do you show Him you love Him with your actions? The Christian walk is all about relationship and a LIFE in a relationship. If you ever wondered, how do I have that conversation with someone so that they can experience this awesome relationship with Christ that I have? Here is the perfect example of how that conversation can go! Well Done Elise! Evangelism is redeemed! Kimberly Sprinkle on When I can’t see….